Greenbriar at Marlboro in Monmouth County, New Jersey is an attractive active adult community designed for those aged 55 and better. Formerly known as Greenbriar North, this lovely mid-sized community features 766 homes that offer plenty of space between neighbors. Built between 1981 and 1992 by U.S. Homes this community features plentiful amenities and mature landscaping throughout the community. Though Greenbriar at Marlboro enjoys a suburban setting, it is only one hour south of New York City and 30 minutes from the Jersey Shore. There are plenty of shopping centers, restaurants and attractions closer to home as well, including the Freehold Mall and Freehold Raceway. Within the community itself, residents will find amenities such as a spacious clubhouse and outdoor sports courts. There are also many social and recreational clubs, helping residents get to know their neighbors and make new friends. 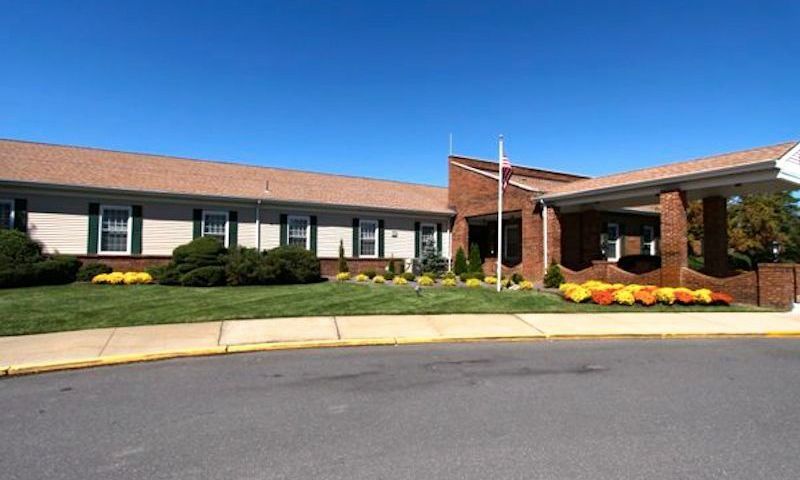 Greenbriar at Marlboro is an age-restricted community that requires at least one occupant to be 55 or older and no one under the age of 19 may permanently reside in the community. Greenbriar at Marlboro provides residents with many of the popular amenities that active adults have come to expect in an age-restricted community. There is a spacious clubhouse that encourages residents to mingle and get to know one another while taking part in the community's many social and recreational activities. To help residents stay fit, the clubhouse includes a fitness center and an aerobics studio. Residents can shoot some pool in the billiards room, join a game in the card room, or relax with a book in the library. A large ballroom is an ideal setting for community events and parties. Outdoors, Greenbriar at Marlboro offers plenty of recreational activities. Residents can enjoy the tennis courts for a high-intensity workout or join a low-pressure game at the bocce ball, shuffleboard, or horseshoe courts. Greenbriar at Marlboro also offers walking and biking trails, which are perfect for dog walking, jogging or an evening stroll with your spouse around the community's scenic lake. The 766 homes at Greenbriar at Marlboro are all single-family homes. Built by U.S. Homes, these desirable houses feature spacious living areas and mature landscaping. Residents are often drawn to Greenbriar at Marlboro by the lovely homes, which are set at a comfortable distance from their neighbors. Greenbriar at Marlboro offers several models perfect for the downsizing active adult or those looking for more space. These single-family homes range in size from around 1,300 to over 2,500 square feet and offer two to four bedrooms, two or three bathrooms, and an attached one or two-car garage. Some homes have an optional loft space for an extra bedroom or for use as a hobby area. Greenbriar at Marlboro offers residents aged 55 and better an active lifestyle in a beautiful setting. With the amenities offered at the community clubhouse, residents will find many opportunities to stay active and meet new friends. In addition, the community has several social, recreational, and religious clubs and organizations. Greenbriar at Marlboro makes meeting new neighbors easy with regular movie nights, trips to local destinations, and a singles group. For diversifying your exercise regimen, active adults can join a Zumba class or take part in the tennis club. The community also offers a book club for sharing your favorite book and a knitting group for making gifts for grandchildren. A full-time activities director is also on hand to help residents plan events, join social groups, and make the most of the amenities offered at Greenbriar at Marlboro. Greenbriar at Marlboro is set in Marlboro in Monmouth County, New Jersey. This popular location enjoys a lovely suburban environment while also being set approximately one hour outside of New York City and 30 minutes from the Jersey Shore. Convenient access to major highways, such as Route 9, makes it easy for residents to travel into the city, or explore nearby towns. Some of at Marlboro's neighboring towns include Colts Neck, Manalapan, Old Bridge and Freehold. Residents at Greenbriar at Marlboro will also enjoy the close proximity of several shopping centers and local restaurants. Only a few miles away, the town of Freehold offers even more attractions, such as the Freehold Mall and the Freehold Raceway. Active adults in Monmouth County, New Jersey will love the beautiful homes and recreational opportunities at Greenbriar at Marlboro. There are plenty of activities available in Greenbriar at Marlboro. Here is a sample of some of the clubs, activities and classes offered here. Greenbriar at Marlboro offers eleven models perfect for the downsizing active adult or those looking for more space. These single-family homes range in size from 1,348 to 2,520 square feet and offer two to four bedrooms, two or three bathrooms, and an attached one or two-car garage. Please Note: Due to the age of this community, floor plans are not available. This community's upkeep leaves a lot to be desired. Grass is NEVER evenly cut, and there are weeds and bug infested grass everywhere. Some of the homes are older and have not been updated or well cared for, however this community is still very popular. Its one of the few active adult communities in Marlboro with single family homes and has a very reasonable monthly fee. A very smart board has kept maintenance fees low throughout the years. This has made Greenbriar one of the most desirable 55+ communities in the state. Property values have kept going up as a result, while other communities with elaborate facilities and crazy fees are struggling. Some very wealthy residents live in Greenbriar as they understand smart value without smoke & mirrors! We have resided here for 2 years. We are one of younger couples moving in, and still work full time. The office does not allow exceptions for working people, so when it snows we are forced to shovel every time in order to get to work. They will not plow out working people first, no exceptions made. Summer as well has very poor maintenance. The grass is never fully cut, nor are areas weed whacked. The pool area is very dated. The community landscape is very dated, 30 years of overgrown shrubbery. Do not waste your money, taxes are increasing and maintenance fees wasted monthly. We bought here almost 10 years ago, I can't believe it! Our home is one of the original floor plans and we really love it. We've made some updates to the bathrooms and did all new carpets plus some new landscaping projects but other than that the house has been holding up well. It's a really casual environment here and very friendly. Yes, I've seen nicer communities with really fancy clubhouses but for me I just love how friendly our neighborhood is. It has everything we wanted in terms of perks like the fitness center, pools, tennis, etc ... but most important are the people we call "neighbors" are true friends. 55places.com is not affiliated with the developer(s) or homeowners association of Greenbriar at Marlboro. The information you submit is distributed to a 55places.com Partner Agent, who is a licensed real estate agent. The information regarding Greenbriar at Marlboro has not been verified or approved by the developer or homeowners association. Please verify all information prior to purchasing. 55places.com is not responsible for any errors regarding the information displayed on this website.